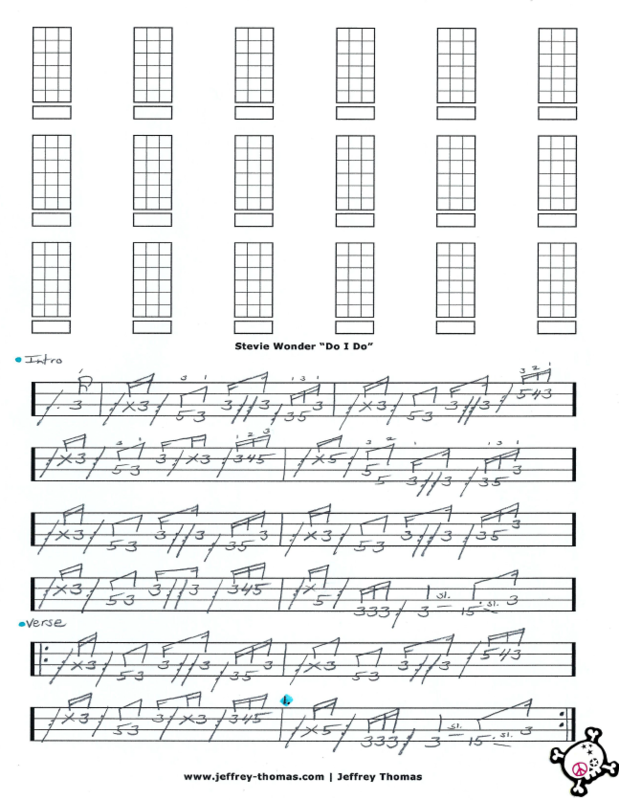 Stevie Wonder Do I Do Free Bass Tab by Jeffrey Thomas. This is a monster song for the bass and I spent hours working on the fills, lines and rhythms played by Nathan Watts. I went from the studio version to some live recordings to try and get the licks right. This tune is definitely for the intermediate/advanced bass player. Lots of tricky 16th note licks and right hand technique required. Want the free bass tab for free? Just send in your email address using the form provided. Need help playing the song? Fill out the Schedule A Free Lesson form to set up a free Skype bass lesson today. One of Stevie’s best tunes here featuring the trumpet work of Dizzy Gillespie! Make sure to check out my online bass tabs on the video, tab and blog pages.